Windows 10 is looking considerably less horrifying than its Windows 8 predecessor. 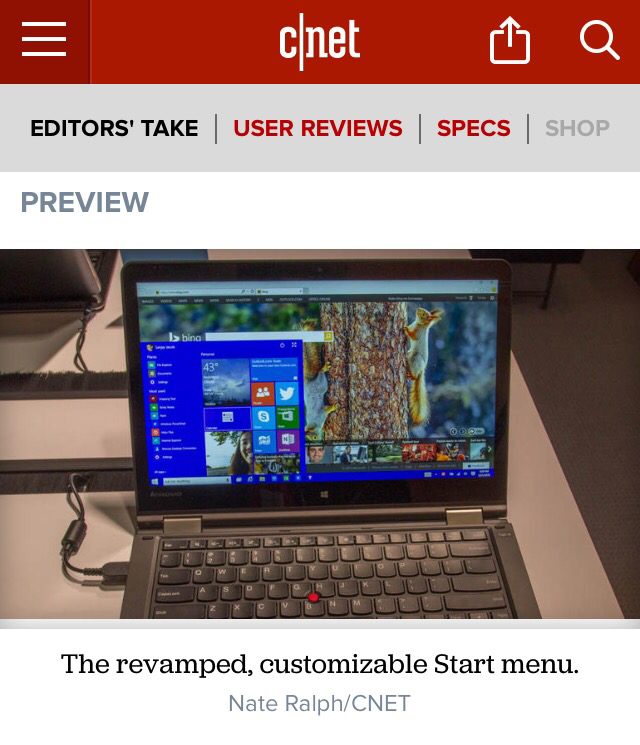 There’s a great overview of the new OS here: http://www.cnet.com/products/microsoft-windows-10/. The live tiles have been integrated in a less obtrusive way, through the Start Menu. The interaction flows are a lot more fluid, as opposed to the “2 completely different systems smashed together awkwardly” feeling that came from Windows 8. Overall, I think it’s a definite UX improvement on many levels. Also, the upgrade will be free to anyone running Windows 7 or higher. The Pre-Windows 8 fans will feel like they’re back in their comfortable Windows OS wheelhouses. I’m a definite Apple fan girl, and while Windows 10 doesn’t come close to being as fabulous as my beloved Mac OS, it’s definitely a step in the right direction for Microsoft.